I hope experts here can chip in on this.. I know a few pros who have already started on this journey, and this field is evolving quite quickly. Some basic things which are possible are turning on and off items remotely, including lights, aircons, curtains etc. But doing so seamlessly with a high WAF and ease of use is now the goal. Is those ai aircon control useful? I am using those switch to turn on mood lighting at hifi from 8pm to 1am. I ever thought about integrating AI into my home environment (namely Google Home) but security and privacy have been my main concern, so I dropped the idea regardless how advanced or convenient it is. Just my take on this Smart Home thingy. I'm currently using TP-Link smart plugs to on/off some of my appliances. Can even used as timer to automatically off my phone charger after a designated timing to prevent over charging of phone. Installed google home and Alexa as well. Useful when lazy to get up to turn off the fan (with wireless remote controller) etc hehe. Waiting for TP-Link to bring in their smart wall switches for the home lights. So far found the TP-Link Kasa apps not bad. Just need some extra features. Am using ambi climate for both rooms and they worked great. Taking into considerations of the weather, it will adjust the temp accordingly. Definitely woke up less to find the blanket into night. Hopefully will be able to lower the ever rising electric bill. Im using apple home kit with Philips Hue lights and Eve switches and motion detect. The real smart home is a central of thinking be is room temperature ,light , device power and its able to monitor the user behaviour and mood to function it intended purpose, we are still a bit away from that AI , but the Chinese are very much into it liao. The state of the art smart home system is only as advanced as the user behind it. 1) only the home owner knows what he needs for his sensors to sense and modules to react to the right stimulus. If you are not interested to troubleshoot code, are you willing to pay $$$to someone and down time with the inconviniences of someone to do debugging? 2) A smart home is only as smart as the architect and user of the system. If you don’t know what you want, how would the home be smart? The real smartness is in the person who did the code, not the hardware. 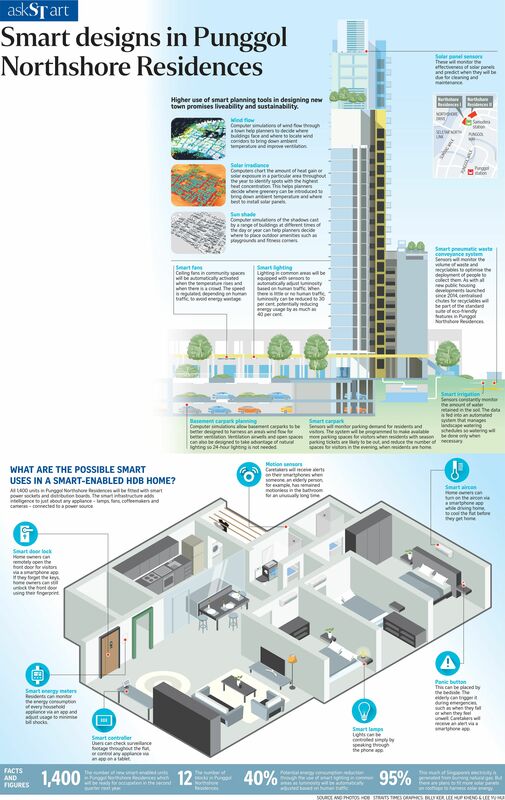 3) Today’s smart home eco-system is good for those who are willing to DIY yourself. It’s not user friendly to the average joe. They are primitive in the implementation and poorly integrated. I’ve had smarts in my home for 5yrs now. I would do it again for myself, but I will warn others this is not something that is easy to use. But if you have the grit for it, today's system can be very powerful for the Super-user. Lights, sliding doors, gates, aircon, curtain, HT, water, electricity control, voice control, guesture control. From the sensors, there are noise, seismic, water, light level, motion, temp, humidity, state of equipment. Etc. But if you don’t know electrical wiring AND coding, forget about it. You will have more problems than you can articulate questions about them. If you think they are as simple to use as windows7, the current state of the art is probably in the era of Linux. Powerful but for advanced users only. That said, I continue to advocate Smart home as I truly believe it’s is the next wave of the IOT world. I honestly use it daily in my life. Temp control at night, auto blind controls every day depending on Lux levels, auto on and off depending on presence, power consumption monitoring, door bell alerts, flooding or leakage alerts. Voice control makes it all even better. Too much to write here, but I’d be happy to talk more. Thanks for sharing this. I also hope that you will share more on your own journey. As for the difficulty in doing this, I would say, that Smart Homes aren't ready for us yet then. As an IT idiot, I want a Smart Solution that doesn't require a rocket scientist to program.. So if it's something too hard, then I will probably pass for now and wait until it's meant for the average consumer to adopt. The onus should not be on the owner to take up quantum physics, but rather, it should be made easy. Like the days before Apple came out with the Mac, using a computer would cause brain seizures... but now, I can get my 80plus year old mum to use a Mac with ease. Now's that user experience and the goal for Smart Tech then.. Most of my time is debugging the system. Talking to AI can be a pain too and I am only on lights and some IR devices. agree on the portion of being DIY and code savvy. there is no single system that can do it all today. there is a lot of ongoing maintenance when the integration between 1-4 breaks, or sensor runs out of batteries, or devices drop off the zigbee mesh. but the rewards bit is when your hands are full and u can voice command lights to turn on; one click on a button at the doorway and everything clicks off when u leave house; house turns on everything when u come home in the evening. give it 5 years, it will become mainstream. Switching lights off remotely might be nice.. I have a Yamaha LX 170 which can be programmed to turn on at night (different timings for different days) - and that works nicely for me. That my only 'smart' item right now I guess. Well, apart from Alexa Echo, which I mainly use as a radio..
Alexa its useful for marking appointment on your calendar. Telling you time when your hands are tie with RCA cables. Set daily alarm, set reminders, set to do list. You Can tell Alexa 'Look I am your father' too. I am using the following devices. Actually you don't need programming skills if you pay for the vendor to install for you right? If you look at the 'programming' involved, most scenes n events are configurable from app/browser. Simple drag n drop or drop down list. End of day, all based on simple idea of "if this, then that. Else .. "
Just got one echo dot from amazon and google home mini from japan. Lets try which is better. The google home mini from local is supposed to understand some local slang. Challenger member can get at discounted price. i have motion sensor scattered all over to turn on lights and ceiling fans on demand. hardly touch the physical switches anymore. toilet lights to slowly dim up over 10min interval for weekday mornings, so that your eyeballs dont get stabbed. alexa/ handheld remote to dim lights in mbr; missus can continue reading while i turn in for the night. sonos to start playing (fade up) in the mornings and fade off when its time to leave house. when the music stops and certain lights turn off, its cue to the kids to hurry up, they are running late. u can use alexa to turn on the tv and channel surf also. but the voice recognition degrades when there are loud sounds around. its to your imagination and your own personal use cases. all connected via alexa? thats your unifying platform? automation by which platform? I am playing around with both Alexa and Google Assistance. Automation are done by "Routines" in Alexa or Google Assistance. If I am not wrong when Home automation are introduce the software isn't that mature to fully integrate and automate the devices. It take some effort of using programming to automate the system. Now there's "Routines" available in them apps which you can set your command and action. One big issue is that you may get items from different vendors, so they may not integrate or talk so well to each other..
Hopefully the scene matures more... and gets more simplified. Anyone using yeelight instead of hue? Price looks much lower and doesn't need a proprietary hub. Connects using WiFi instead of zwave. its a good choice if you choose to remain within XM ecosystem. If I want to integrate with echo + Fibaro? for fibaro, something like this? Sorry, i dont have fibaro ecosystem. Thank you, sent to my fibaro agent to explore. If confirm can work, will get some during 12.12 sales from lazada. The problem with turning on the AC from remote is did you leave the windows open! My Lounge balcony if often left open in the day as no rain can come in. I can normally do this for my study as seldom open the windows there even though no rain can get in there either.